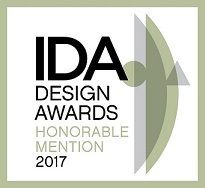 Award | Comodo Interior Design Ltd.
IDA Design Award (International Design Award), one of the most authoritative international design awards in the United States. This awarded project is inspired by the mountain scenery of the surroundings. Light-colored marble and wood are selected for the wall and floor, giving the whole unit a natural and warm atmosphere. A' Design Award & Competition is the Worlds' largest annual juried design competition that honors best designers, architects, and design-oriented companies. We’re pleased that we won the A’Design Award (2017-2018) with our residential projects One Oasis Unit C again.